To most Americans, buying “Local Food” means a trip to the Farmer’s Market or out to a roadside farm stand. But for a growing number of U.S. consumers “Local Food” is the fresh fruits and vegetables that come in boxes to their home on a subscription basis. Organically-raised, humanely-slaughtered meat and meat products are sometimes added into the choices. These direct farmer-to-consumer relationships are promoted under the program acronym CSA – Community-Supported Agriculture. Subscribers buy a “share” of the harvest for a fixed price. Here in Sitka, Alaska what “Local Food” usually means is the bounty of the icy North Pacific Ocean. All manner of critters – large and small – are pulled from these waters by fishermen of various sorts – commercial and charter; sport, personal use and subsistence; both Alaska residents and not. Halibut, salmon and crab may be glamour species – but top dollar is also paid for sea urchins, geoduck clams and herring roe on macrocystis kelp. Although many Sitkans keep their freezers full through their own efforts, the vast bulk of seafood is shipped out on barges, ships and airplanes to points all over the globe. To capture some of this “Local Food” about two dozen Sitka families bought shares last summer in a brand new Community Supported Fishery (CSF), which is modeled on the land-based CSAs. These Sitkans received a half dozen in-season deliveries of flash-frozen fillets of king and coho salmon, black and ling cod, halibut and rockfish that worked out to an average of about $10 a pound – very affordable for a high-quality product, which can be indistinguishable from fresh fish. The Sitka fish is marketed under the brand name Alaskans Own. Alaskans Own is one of only three active CSFs in the country. 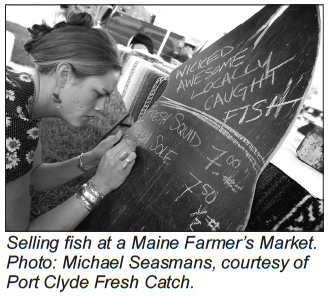 The oldest, Port Clyde Fresh Catch – 500 subscribers and growing – is based in Maine. In Port Orford, Oregon, the Port Orford Ocean Resource Team (POORT), uses a non- subscriber model but sells fish out of its wood shingle headquarters in town. Port Clyde, like Port Orford, sells its fish at large regional Farmer’s Markets, as well as to individual restaurants. Port Orford’s customers include the institutional cafes of both Intel and Adidas. 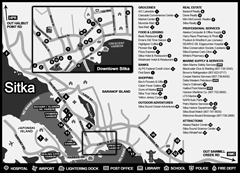 Port Clyde’s biggest customer is the Liberty Hotel in Boston. In both Port Clyde and Port Orford the CSFs were formed to try and get more value for the fishermen out of a dwindling resource. But Alaska’s well-managed fisheries are the envy of the world and Sitka’s CSF has the main mission of promoting conservation and conservation-minded fishermen. And to provide Sitkans with a taste of what big city restaurant chefs and others go to great length to procure. Alaskans Own is one aspect of the Alaska Sustainable Fisheries Trust, a partnership between the Sitka- based Alaska Longline Fishermen’s Association (ALFA) and the North Pacific Trust, a conservation group. The project has also received a grant from the Oak Foundation. ALFA’s long-time director Linda Behnken said the project has two other goals besides selling fish. The first is a conservation effort where fishermen map habitat and report bycatch to increase efficiency and reduce the pressure on non-targeted species. The other goal is to provide affordable financing for conservation- minded fishermen in order for them to buy more quota share, which allows fishing for more fish. Such lofty goals were probably not on the mind of the Sitkans who flocked to an old sawmill building every other week last summer to be handed packages of their “share” of fish. More than one subscriber expressed delight with the quality. Others were equally pleased to find that their fish came from the boat of an old friend they didn’t know was participating. The Community Supported Agriculture movement and the idea of subscribers started in the U.S. about 20 years ago with a handful of farms. Today, there are more than 4,000 CSAs operating in all 50 states. 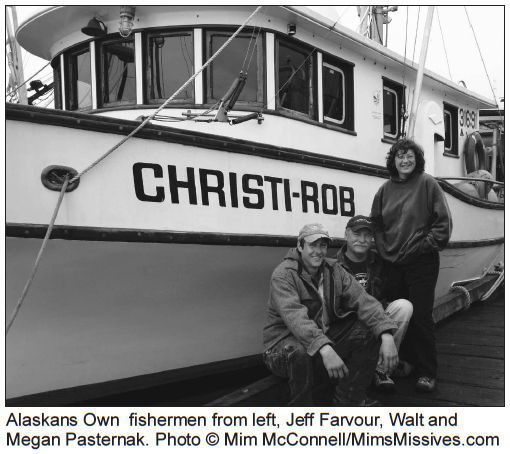 In 2011, fishermen in Port Clyde, Port Orford and Sitka operate the first three American Community Supported Fisheries. How many CSFs will there be 20 years from now? For more info on Port Clyde and the CSF movement, watch the full- length movie, “The Fish Belong to the People,” accessible at thefishbelongtothepeople.com. 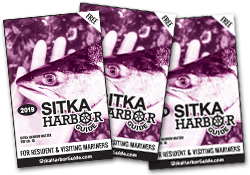 Will Swagel is the publisher of the Sitka Harbor Guide and the Sitka Soup. A 29-year resident of Sitka, he has written for various regional and national magazines.